A cluster of rocky bluffs rise out of the forest, high above North Nanaimo and the wide part of the Salish Sea. This dreamscape is the site of a new residential development where you can purchase a luxury VIEW lot, and build your own home. The developer is putting in the roads and other infrastructure. The development is called The Foothills. Some people refer to it as "Lantzville Foothills" because of its location and because that was the name proposed by a previous developer back in the 2000s. But it's "The Foothills" now and forever. Development phases will span many years and will include more than 730 homes. There will be a retail village in future phases as well as multi-family and higher-density building(s), and larger 2- and 3-acre offerings in the future. In late 2017, ground was broken for the first phase: about 70 luxury lots with the most breathtaking views available in the Mid-Island region. That phase was totally successful (it all sold! ), and a second phase of 26 home sites (Broad Ridge Pass) was announced in early March 2018. The developer says that Broad Ridge Pass will have "the most incredible view home sites" at The Foothills. These sites are 0.37 - 1.63 of an acre and are priced from $339,900 to over $600,000. Let me know if you'd like me to send you specific information about The Foothills as it becomes available. I'm reading all documentation as it becomes available and am representing buyers! The developer requires a 10% deposit to purchase a lot. For the first phase of lots, buyers have until approximately January 2019 to prepare for their home build while the developer finishes the civil infrastructure construction of the roads, sewer, water, drainage, electric, gas and hookup points. All design guidelines must conform to the City of Lantzville Department of Land Bylaws. There are building guidelines provided by the developer, and these presumably(?) follow the City bylaws. The first well and water are approved by both Lantzville and Vancouver Island Health Authority for 103 homes. 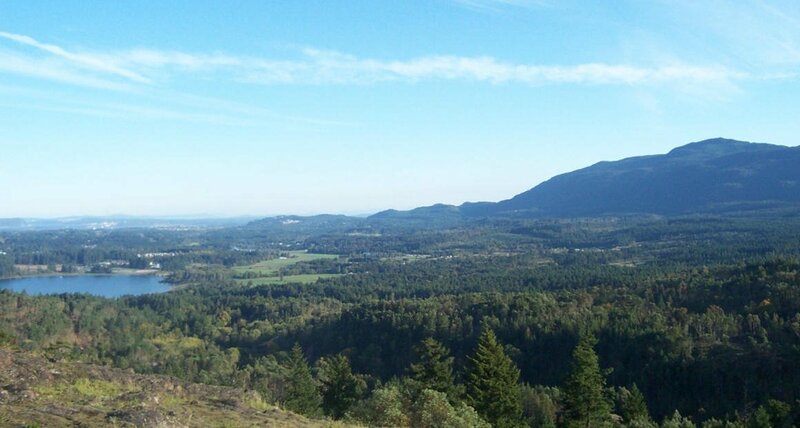 This development falls within the "Pleasant Valley" zone of the Vancouver Island Real Estate Board instead of the Upper or Lower Lantzville zones. As of April 2017, the foothills are still largely undeveloped, with a system of gated roads and some lot stakes being the only sign that luxury homes will soon start to sprout from the ground. Now is a great time to hike the foothills, especially if you are considering building a custom home! There are multiple trailheads, but here's the one that might be closest and most straightforward.